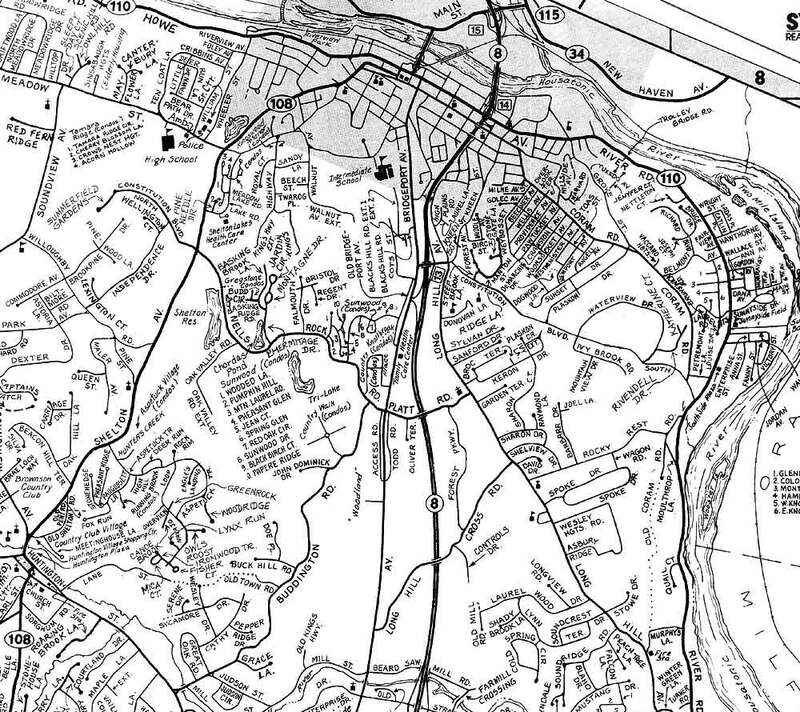 Shelton, CT is a small town nestled in the Naugatuck Valley in Fairfield County, Connecticut. 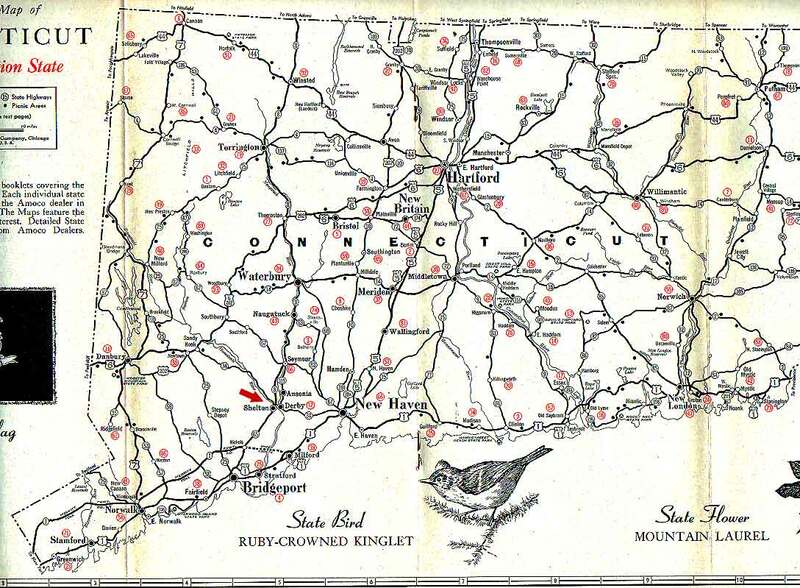 Here's a brief history of our town. 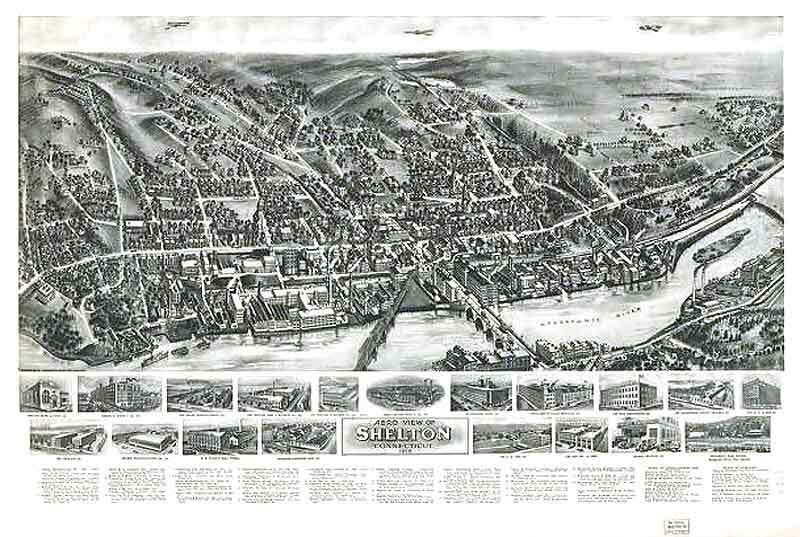 Shelton had it's surge of growth during the Industrial Revolution of the 1800's, and when you come to visit you'll be amazed at how almost everything looks the same as it did at the turn of the century. Even the old stone walls that have lined the homesteads, fields, and woods for centuries are still there, and so amazing to see. We hope you enjoy the pictures and that some day you'll be able to come and visit this quaint historic town. 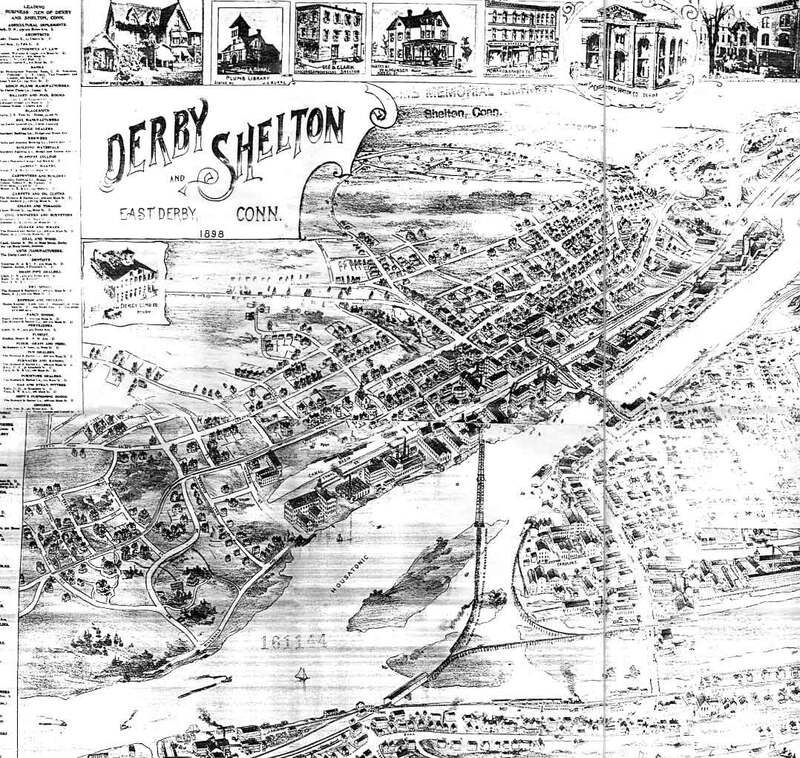 The town is named after Edward N. Shelton born in 1812, who was the great grandson of Daniel Shelton, who was a settler here before the 1700's. Edward. 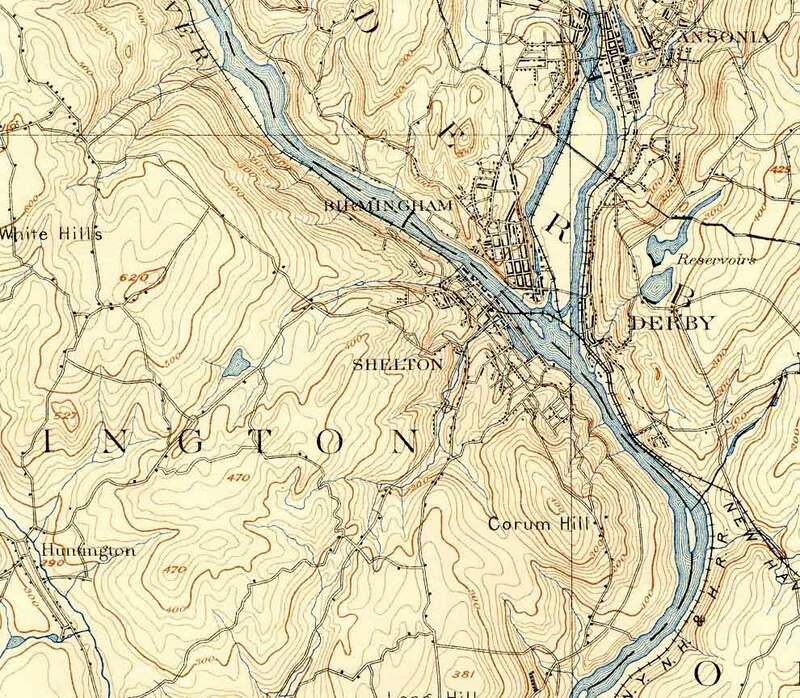 Shelton formed the Ousatonic Water Power Company, and organized the building of a dam on the Housatonic River to use as a source of power. 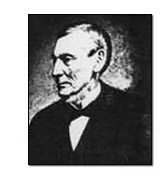 The picture on the right is Edward Shelton 1812 - 1894. 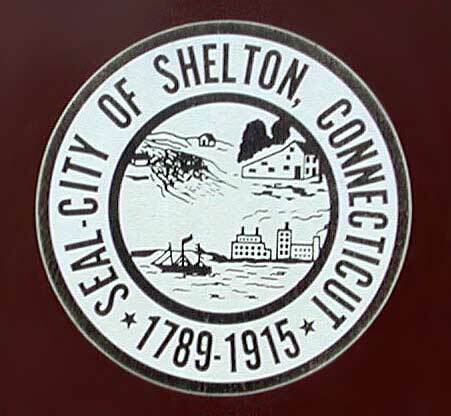 The Seal of the City of Shelton has 3 graphics, the top left is a picture of 2 small homes nestled around a flowing river. The second graphic is of a salt box house with a lean to. The bottom graphic is an old factory, with a ship sailing by, probably depicting the Industrial Revolution, and the rise in productivity. Click here to view a larger version of the City Seal. 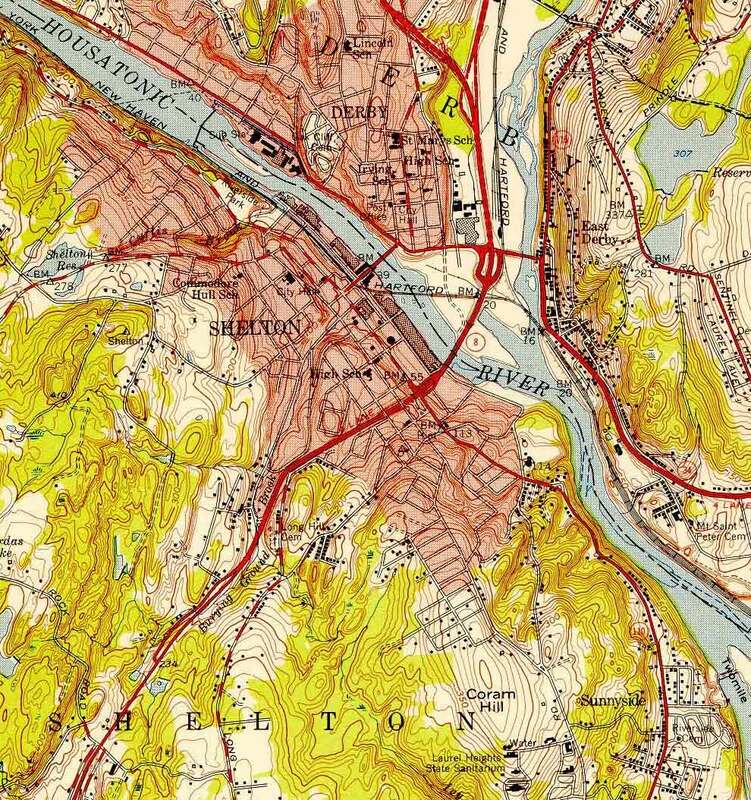 What's on this Shelton website? Downtown Howe Avenue - The main intersection of downtown Shelton. Viaduct Square, Bridge Street, old postcards of the trolley line. Very interesting pictures. 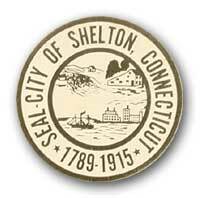 Historical 1800's Factories - There were twelve factories built in Shelton before the 1880's that had a workforce of 1,000 men. Riverfront Photography - Take a stroll or sit for awhile on the new riverfront they built downtown on the Housatonic. It's very scenic and a nice place to go to relax.